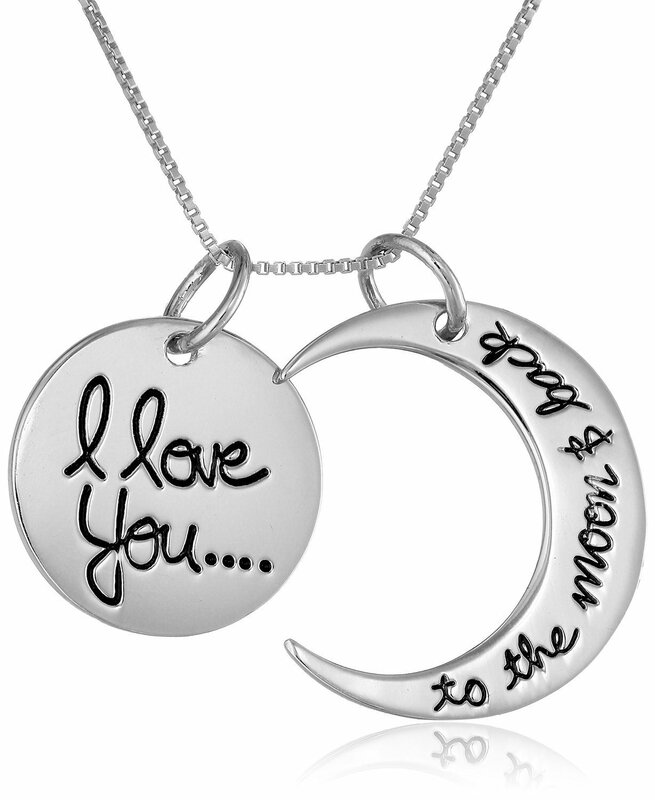 I Love You To The Moon and Back Two-Piece Pendant Necklace. VüeJoli® Branded: Would make a wonderful gift from Mom! I Love You To The Moon and Back Two-Piece Pendant Necklace. VüeJoli® Branded Would make a wonderful gift from Mom! This is just too adorable! I love the saying/sentiment…I have always said it to my son. I still say it to him today and he is 11 years old. 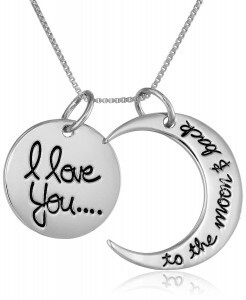 I love how this is a two piece necklace and that the circle with “I love you” completes the moon. It seems to be great quality and would make a wonderful gift especially for a Mom. It is also packaged nicely in a little fabric pouch. Self Disclosure: I received this product at a discount in exchange for an unbiased review.